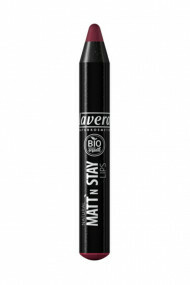 Get a luscious and irresistible mouth with the Lavera Natural Jumbo Lipstick Pencil ! Rich in mineral pigments, it offers an intense color and an incredible matte effect. Thanks to its pencil shape, it is easy to apply and offers a precise result without smudging. Enriched with floral butter, it provides hydration and comfort to the lips. As a care, it protects them from drying out thanks to its cream texture. The Lavera Natural Jumbo Lipstick Pencil is perfect for a day! 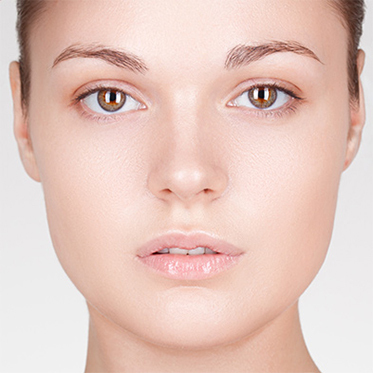 Apply your lipstick starting at the corners of the mouth and apply it evenly over the entire mouth. For a 3D effect and a luscious mouth: tap a darker tone in the center of the mouth and a lighter tone on the heart of the lips. A lipstick pencil with a natural composition!